India, one of the most interesting and enchanting country when talking about holiday or tours and travels in Asia. India has a different culture, traditions and endless tourist attractions that vary depending on the geographical location. So if you want to see the different culture and tradition of this vibrant country, plan for a holiday in India. If you are looking for a vacation in nature blessed destination in India, Kerala Top top the list. Kerala is also known as God’s Own Country and is blessed with a number of tourism destination and picturesque spots that need no description. From the breath-taking backwaters, hill stations, picturesque beaches exotic wildlife parks and sanctuaries, historic temples and ayurvedic spa that attracts the tourists during the tour to Kerala. Alleppey one of the top tourist destinations in Kerala. The backwaters and sightseeing places attract more tourist to this place. Most of them are coming here to experience the backwater cruise and to have the delicious foods. Alappuzha Beach, Krishnapuram Palace, Kumarakom bird sanctuary, Marari Beach, Revi Karunakaran Museum, Marari Beach, Punnamada Lake, Pathiramanal, and Sri Krishna Temple in Ambalappuzha are the other tourist attractions in Alleppey. The Snake Boat Race held every second Saturday of August in Alleppey is another crowd puller. This is one of the most picturesque backwater point and an ideal destination for houseboat cruising. Bliss for family and honeymoon trips, Kumarakom will be the right choice in Kerala if you are seeking solitude and desire to pamper mind & body in the lap of nature. Valiyapally, Cheriyapally, Kumarakom Beach, Aruvikkuzhi Waterfall, Juma Masjid, Thirunakkara Mahadeva Temple, Vembanad Lake, Bay Island Driftwood Museum, and Pathiramal Island are the other tourist attractions in Kumarakom. Munnar is the popular hill station in Kerala. 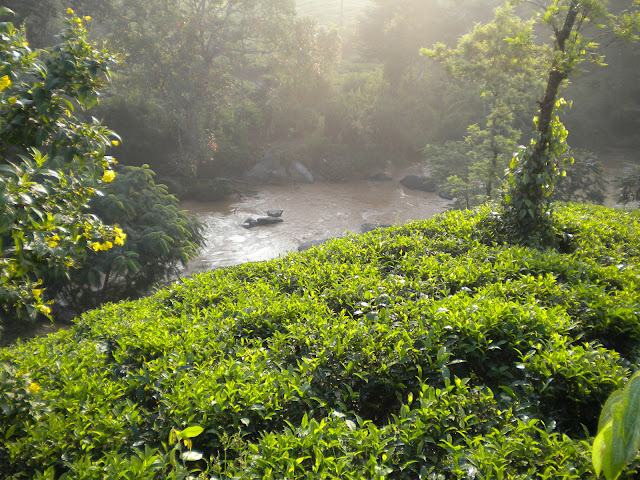 It is located on the Western Ghats range in the Idukki and famous as the major tea plantations region. Tea plantations, Grass lands, dense forests, valleys, green mountains and flora, and fauna makes Munnar as one of the major tourist place and romantic honeymoon destination in India. 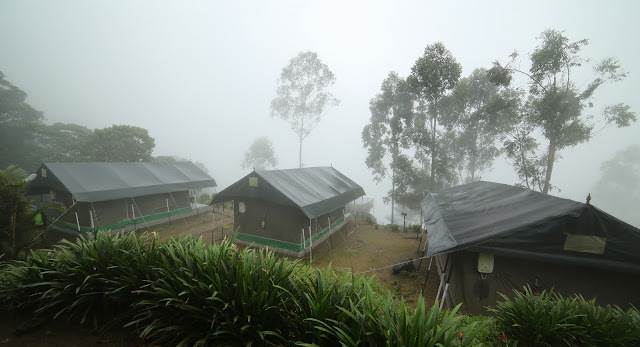 Then the next thing people have to plan while visiting such places like Munnar is accommodation. 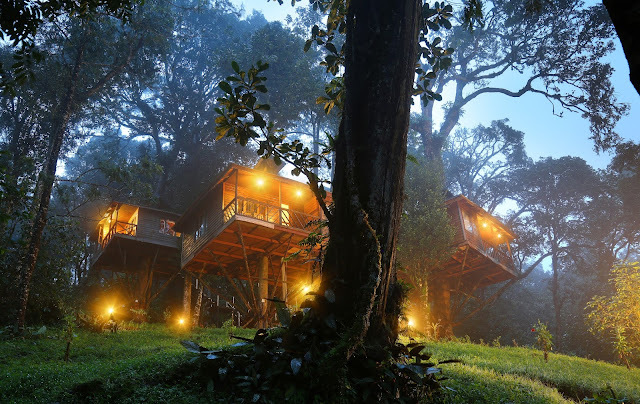 Nature Zone Resort, one of the best resorts in Munnar offers Luxry accomodation In Tree House and African Safari Tents. Wayanad is the Green Paradise of Kerala and one of the most exciting and romantic places to visit in the state. The district stands 1st in the coffee plantation and pepper cultivation in the state. Lakkidi View Point, Thusharagiri Waterfalls, Thirunelli Temple, Banasura Hill, P Kuruvadweep, Papanashini River, Puliyarmala Jain Temple, Kabini and Padinjarathara Dam are the other major attractions in Wayanad. Thekkady is an important tourist destination in Kerala situated in the famous the Periyar National Park. The Periyar National Park is habitat to a large number of Indian elephants, bisons, boars, Lion-tailed Macaques, Nilgiri Langurs, Indian bison and Bengal Tigers. Mullaperiyar Dam is situated around the area on the Periyar River. Kumily, Ramakkalmedu, Murda cultural centre, Vandiperiyar, Murikkady, and vandanmedu are the other popular tourist attraction in Thekkady.